A few months back, the HTC One X10 and Desire 650 smartphones were spotted online for the first time. At that time, we don’t have any information apart from the naming. But in December 2016, the HTC One X10 specifications along with the expected pricing are revealed. In between this, the company also launched the HTC 10 Evo smartphone in India and later this month, HTC is also bringing the premium U Ultra smartphone with dual displays. Today, the upcoming HTC One X10 smartphone is listed on a Chinese site with much clearer images. Though there is no confirmation, it is expected to launch at the Mobile World Congress event that will be held in Barcelona from February 27th to March 2nd. The One X10 will be the successor to the HTC One X9 which was launched in December 2015. It is rumored to come with a 5.5-inch display with Full HD (1920 x 1080 pixels) resolution. On the design front, the device packs an all-metal body with a protruding rear camera. We can also find the circular fingerprint sensor and the dual tone LED flash on the back. The volume rocker and power button are placed on the right edge of the One X10. While the One X9 came with Helio X10 chipset, its successor will be powered by the years old Helio P10 SoC. The leaked specifications suggest the device to include 3GB of RAM and might come with 32GB or 64GB or internal storage. On the camera front, it might sport a 16MP sensor on the rear and an 8MP camera on the front for selfies and video calls. The device will be running on the latest Android 7.0 Nougat based HTC Sense UI. However, we can’t expect it to feature the Sense Companion that is included in the U Ultra and U Play smartphones. Since all these specifications are yet to be officially confirmed, take this a pinch of salt. Last year’s One X9 is backed by a 3,000mAh non-removable battery and is one of the very first devices to run on the Android 6.0 Marshmallow out of the box. Currently, the One X9 is retailing at Rs. 21,990 and is available in Gold and Grey colors. It will be launched in dual SIM and single SIM variants with 4G VoLTE support. The earlier leaks also suggested the HTC One X10 to cost less than 2000 Yuan (approx $290 / RS. 20,000) in China. 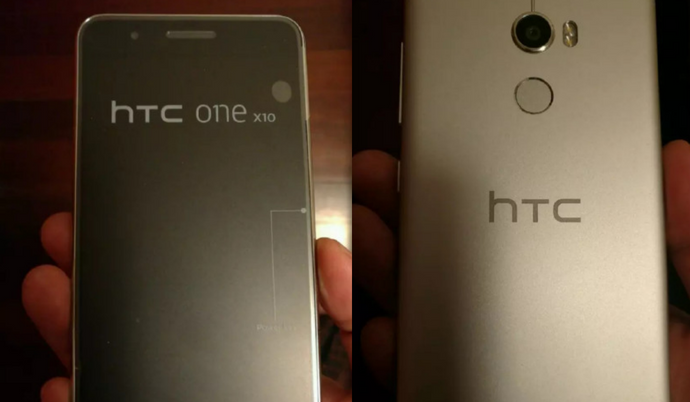 While there is no news about the HTC 11, we might only be seeing the HTC One X10 at MWC. Apart from Samsung, all the major smartphones are also expected to unveil their latest smartphones at the MWC 2017 event. Instead of Galaxy S8 and Galaxy S8 Plus, Samsung will be unveiling the Galaxy Tab S3 with S Pen support. On the other, LG and Huawei will be unveiling LG G6 and Huawei P10 smartphones respectively.